Happy (Belated) New Year, Everyone. With the end of 2016, I happily announce that everything written here last year is now available through Amazon in either paperback or kindle ebook format. While I wasn’t able to get anywhere near the amount of stories written as I’d shot for, I can proudly say that I finished out the year with one extra story and that I’m satisfied with everything that I did produce. 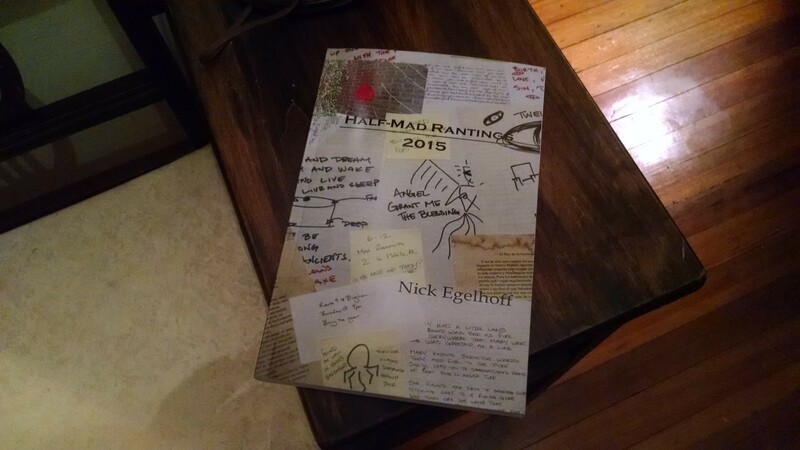 As well, while compiling and editing everything for Half-Mad Rantings: 2016, I realized that the 2015 edition had never been converted over into an ebook edition, so I went ahead and did that. The HMR: 2015 ebook can be found here for those that are interested. This coming year I won’t be regularly publishing any short stories. I have three longer works already being cooked up and in production, along with the story ideas that didn’t get written from this past year. I’ll be working on those with an eye toward just publishing the lot at the end of 2017 and if I get the chance to publish some shorter stories here throughout the year, I will. I’ve also changed over the stories listed under “Flash Fiction” above to represent a good sample of the work produced here over the last four years (and I may switch that up some point later in the year). So, even if I go silent for a good long time, rest assured that I haven’t thrown in the towel. Though I’ve been pretty silent these past few months, I haven’t been idle. 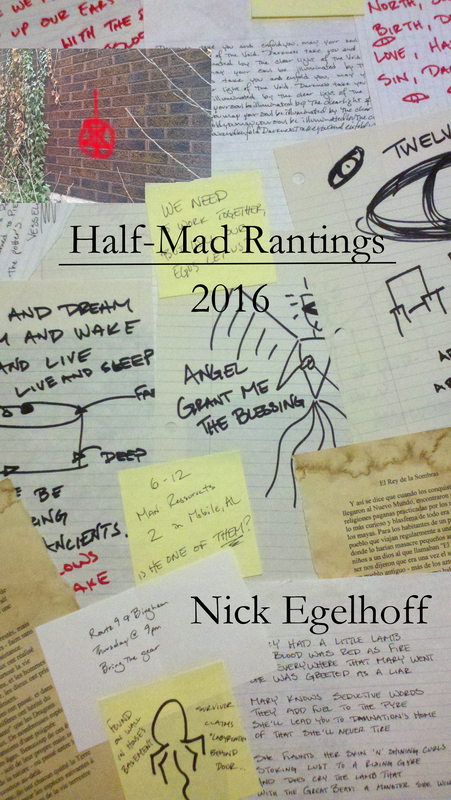 Right now Half-Mad Rantings: 2015 is wrapping up (some final editing needs to be done and then uploading the relevant files to CreateSpace) and it is filled not only with the dozen or so pieces of flash fiction published here last year, but also four longer pieces that are brand spanking new! So, keep your eyes open for the announcement that it’s available in the next couple of weeks. 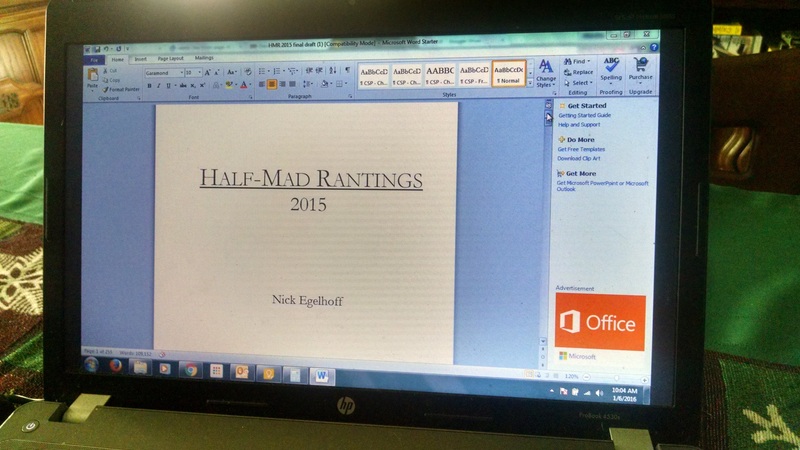 Along with that I’ve also decided to re-vamp the production process here at Half-Mad Rantings. In the last few years I’ve been tied very tightly to the awesome Chuck Wendig‘s weekly Flash Fiction Challenges. However, there are weeks where his challenges don’t really sync up with what I do here or (like last summer) there are times when he’s uber-busy with being a full-time writer who hits conventions and thus doesn’t have time to update the Challenges. So, being that his “roll a d20” style challenges have been my favorite (randomness + story seeds = fecund garden of creativity), I stole borrowed all of his posts that have done that, rolled a d20 twenty-four times and came up with ideas for 2016’s stories. The first one is already finished and will be published on Friday – which will be the new “Story Day” and I’m aiming to publish at least one story a month. Though, since I have all the writing prompts I need right now, I’ll be able to work on the stories continuously without interruption. So, here’s to the new year! 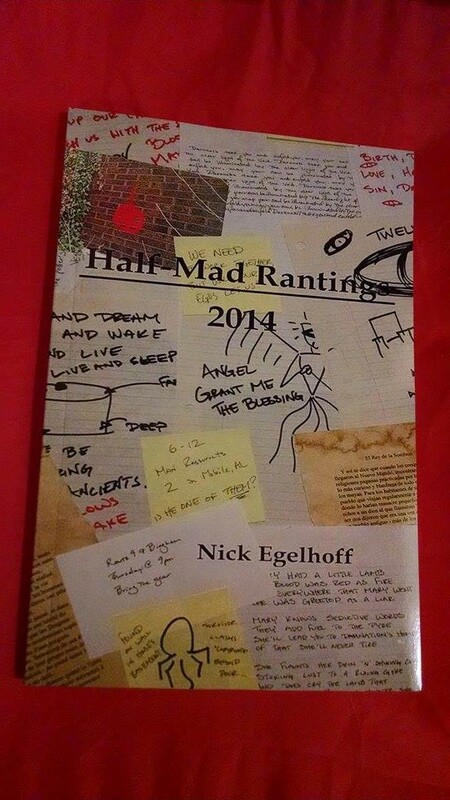 Half-Mad Rantings: 2014 is here, folks! Available in both meatspace format and ebook, it features all of the stories published last year here on the site, along with “In the Woods” and “Journey to the South”. 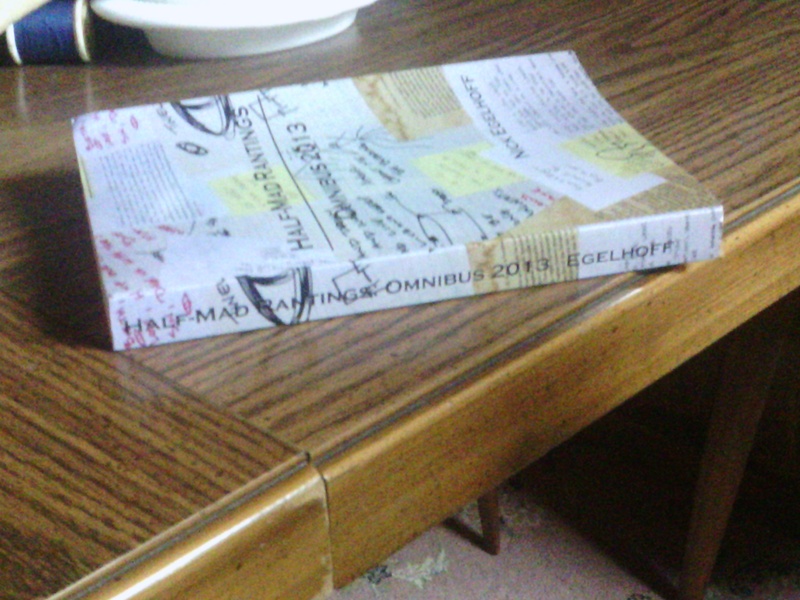 And don’t forget that Omnibus 2013 is still available, as well! After a lot of work last year’s full collection of stories is finally available in one volume and as a physical book through Amazon here. 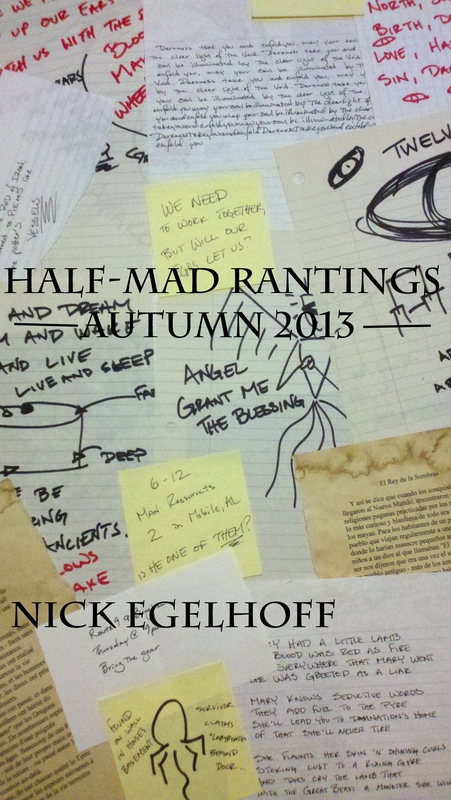 In all the hustle and bustle and hyper-activity of the holidays, I forgot to mention that Half-Mad Rantings: Autumn 2013 has been published and is ready for purchasing. It not only contains all the stories published here on Half-Mad Rantings between the Autumnal Equinox and the Winter Solstice last year, but also the new stories “Pluviophile” and “Winter’s Solitude”. You can find it here at Amazon. I know I’ve been sub rosa for a while, toiling away like an over-worked Arctic elf in the weeks before Christmas. But, it’s that time of the quarter again, and I’m pulling down the current crop of Flash Fiction stories in order to get them edited together and ready for publishing in the next week or two. So, look for Half-Mad Rantings: Autumn 2013 sooner rather than later and then the beginning of the first stories of 2014 to hit these digital pages.